During this tour you will go on a day trip to Taxco where you will be able to visit the city, enjoy a local lunch and visit the Cacahuamilpa caves, located a few miles outside the city. You will be picked up from Acapulco at 5:30am and will be transported to Taxco. Once there, you will visit the city's main sights and enjoy a local lunch before heading to Cacahuamilpa. 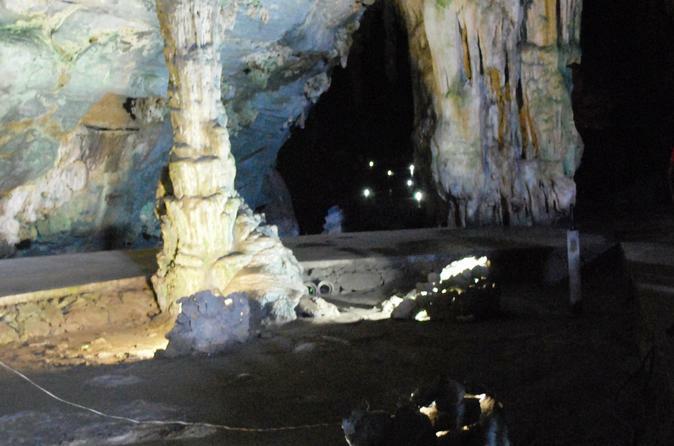 Cacahuamilpa is one of the largest cave systems in the world. It is a "live" cave system, meaning that groundwater still filters down into it, and the formations there are still growing. Inside the cavern system are ninety large "salons" separated by large natural rock walls and connected to one another via a central gallery. However, only about twenty of these are fully explored and open to the public. Most of these salons are located under the Cerro de la Corona, a limestone mountain ridge.